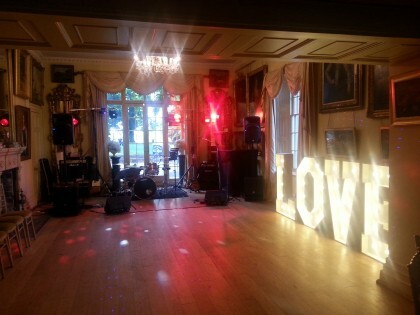 “Thank you SO SO SOOOOO much for doing such an amazing job at our wedding on Thursday!!! Not only was the music fantastic, the performance, passion and energy was out of this world!!! You really did make our night the best it could ever be! And on top of all this, you were so kind and flexible to learn all of those songs for us…I couldn’t have picked a better band, and judging on all of the positive comments from our guests, I’m certain you’ll be booked again for future events! Many, many thanks to Scarlett, Will and guests for being so nice. Why not do what Scarlett did? Call us direct on 0796 433 5657.